I’ve loved every tour I’ve taken with OregonWest especially my trip to Savannah (my favorite) Charleston and Jekyll Island. So much history and great people, Linda was a wonderful host. I truly have enjoyed all the tours, one day trips, etc that Tony has provided and have many good memories of all the adventures and fun that went with each tour. Again, Tony many thanks for the enjoyable tour to Dallas/Fort Worth. It was a great experience to attend everything we did in such a few days in excellent weather. As always, you know how to plan a super tour! 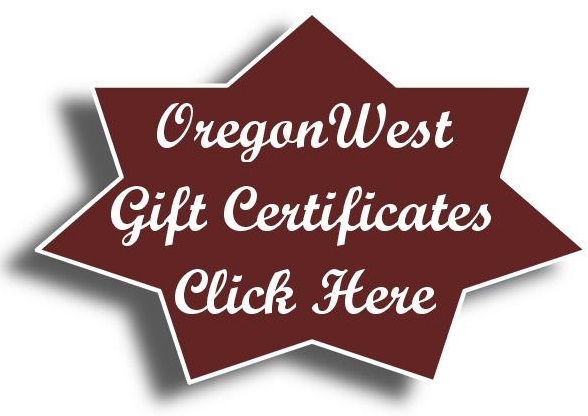 You can remove my name, Sharon Kemnitz, from your mailing list as I will be moving out of state this summer and will no longer be able to travel with OregonWest Excursions. Good luck in the future and Chris was an excellent Tour Director – but still can’t get to you level as a director- you’re the best! Our tour group hustled on to PDX baggage claim and I peeled off with my ride home to a humid backyard jungle. I missed the waves good-bye. Thank you for coordinating a very informative and illuminating experience in Atlantic Canada. Each day passed with fullness, care, balance, sensitivity, and seamless organization (although it may not have been evident to you, it was all smooth for us!). Clearly, this experienced group of travelers adores you and appreciates your devotion to trip designs that have agreeable pace, itinerary, accommodations, and comradery. Your choice to contract with Karen and Cliff, if possible, is stellar! Wishing you a bountiful summer season is whatever zip code you find yourself. This tour with OregonWest was wonderful! Just imagine a trip all carefully planned and all you need to do is show up with a adventurous attitude. I never thought Death Valley would be so beautiful!! Great tour, tour director and new friends. Many more adventures this year!! Thank you Oregonwest for our new love of travel. Hi Mary well I certainly got wordy, sorry but I am such a fan of OregonWest! I will send a picture of me in a couple of minutes thank you so much for this opportunity. How many trips have you taken? I have taken 53 trips with OregonWest. 37 were overnight and 16 were day outings. Favorite Trip and some of your destinations? Land trip to Panama… we saw great views of the canal and went through part of it! What do you like most about traveling in this manner? Traveling with OregonWest has so many advantages the tour guides are so informative and passionate about the area we are visiting. It hard to get the info without a local guide. I have seen outsiders stand off to listen to our guide talk. I don’t have to wonder where I am going to eat. I don’t have to figure out where to park at a venue… most of the time we are dropped off and picked up at the door. The hotels are already selected. The drivers of the coaches are safe and skilled, it is nice to let them do the navigating. We stay in nice hotels, usually in good locations. I always feel very safe, whether I am traveling solos or have a roommate. I have met so many fun amazing thoughtful people!!! Any trips in the spring/summer? Oh, yes! I am looking forward to going to Death Valley, England, Chicago and Newfoundland. I have thoroughly enjoyed traveling with OregonWest and like the office is located in Salem. The owner, Tony Minden and his staff are approachable and enjoyable people to do business with. I feel with OregonWest we may visit places that have not been on my traveling radar, but I am always so pleasantly surprised after visiting the planned venue. There are many facets to traveling… getting to the destination, seeing the sights, trying new food, meeting new people, patience, having a sense of adventure, adapting to change and taking all those glorious memories/pictures back home. To me, traveling means experiencing new cultures and not expecting the places I visit to be like what I have at home. Thank you for the action packed travel to Panama Trip! I know we are like herding cats, but you do a great job! Your efforts are appreciated by us. Thanks for always going the extra mile for us. We had a wonderful trip. You were absolutely right… when Chris got on the mike….. he was “on stage” and did a wonderful job narrating Oregon history, local info’, directions etc. He was very astute to the needs of the travelers and his attention to the details was appreciated. He went the extra mile when one of the passengers fell and busted a hip and needed to be sent home… making sure Bill was safely provided for. Kevin was a very professional driver…..taking us over some difficult mountain roads safely and comfortably. Bill and I really enjoyed working with both Chris and Kevin and had a great time experiencing Oregon Trail history and the Wallowas… such gorgeous country!!!! On March 14th, 18 of us escaped the rain and cold to find ourselves in abnormal 90 degree Tucson heat! We had a good time experiencing flavorful food, picturesque scenery, sights of the surrounding areas and a jeep tour up in the mountains for dinner, drinks, entertainment, and a beautiful sunset. What a way to end a great trip! I have found that traveling with OregonWest is so much easier to let Tony plan everything and I don’t have to worry about all the headaches that go into making a trip successful. Another positive note with OregonWest, there are always very well informed tour guides to share information about the area. Traveling with people for days brings the opportunity to make many special friends. I have met so many delightful people… making the world smaller and smaller. What a trip with OregonWest to Portland for the past four days. Tony, owner of Oregon West was an impressive tour guide. The whole shebang was outstanding, and we have you to thank for lining it up for 34 of us. Embassy Suites in downtown Portland was ideal. Those huge suites were luxurious and a great location. Novak’s Hungarian restaurant in Albany is always a good choice for lunch, followed by a grand organ concert in the Elsinore Theater. Wow, what an organ, and when Phantom of the Opera was played it reverberated throughout the hall. Cruising the Willamette River on our privately chartered dinner cruise ship was outstanding. Thank you for ordering the perfect weather to see the famed waterfront homes. The next day, seeing the Rose Gardens and Japanese Tea Garden was a special treat. We have wonderful roses at RVM, but the flowers we saw at those two sites was absolutely overwhelming. Wow! What an exciting adventure “Mexico’s Copper Canyon” was. The scenery was spectacular and the history was beyond interesting. Karman and I rate the Canyon a 10+! Juan’s knowledge and personality, outstanding. Tony, Just to follow up with you on your previous email regarding the Nebraska Gang in Oregon. We ALL had the most amazing time. It was a spectacular group of people so I was having a double extra blast showing off CA & OR (my native homelands). There were absolutely no disappointments whatsoever. In fact, there were several WOW’s that you included with this great itinerary… especially the Evergreen Aviation Museum. This group really enjoyed it. I actually think more time, maybe another hour, at the Evergreen Museum… lunch in McMinnville which is absolutely charming and maybe skip Fort Vancouver. This was such a great experiential tour that I indicated to Rick that I think we need to try to sell this itinerary more. This wasn’t an itinerary, this was an experience… and that’s what I want to give the passengers that travel with me and with CTN. These folks went back to Nebraska and they will tell their family and friends that because they went with Security 1st Bank and CTN Travels that they got to see whales, the got to jump the line at the SF cable car and ride in the turnaround and have a VIP trip all to themselves, saw the Spruce Goose, and ate VooDoo donuts. Even though it rained and was rather cool, that didn’t dampen my traveling spirit for marvelous Michigan! We had so many activities each so different… a schooner ride, carriage rides, viewing how Ford F 150 pickups are assembled, touring Edsel and Eleanor Ford’s grand 1929 home, visiting quaint Mackinac Island and having a delightful lunch at the famous Grand Hotel. This trip was so enjoyable and opened my eyes to this state, but also there was such a connection among the people on this tour like other OregonWest tours. Many of us travel not knowing anyone, then end the trip with new friends creating many fond memories together. I could have stayed in Michigan a few more days but has been said that the time to end a trip is when you still want more. Thank you, Tony. You planned another great trip!! Hi Tony, Our fifth trip with OWE did not disappoint! We had a great time and a wonderful ride in a beautiful new motor coach. Chanda did a great job as shepherdess – watching over her flock. She was well informed about all the places we visited and kept us all in line and on time. We are glad you have good help and your business is doing good. We did miss you, though. Keep the brochures coming, we are talking about going to the San Juans next year. Dear Tony, I have just been on another great OregonWest trip! I so enjoyed Savannah and Charleston! Aside from the ever-changing weather, all the planned activities were great. A few highlights – going into the two tour guides’ homes for dinner, and the special lunch we had drinking tasty mint juleps while playing dress-up in fancy hats, practicing our Southern Drawl!!! The southern connection was carried back to Salem via HGTV show, ‘House Hunters’, where couples were looking for homes on Jekyll Island and Saint Simon Island. That was a nice surprise to watch and see familiar places we had just traveled to. Thank you, Tony, for organizing another great tour! Dear Tony – I appreciate all the time and energy you put into your tips. It gives me much needed time to just sit back and enjoy new places and people. 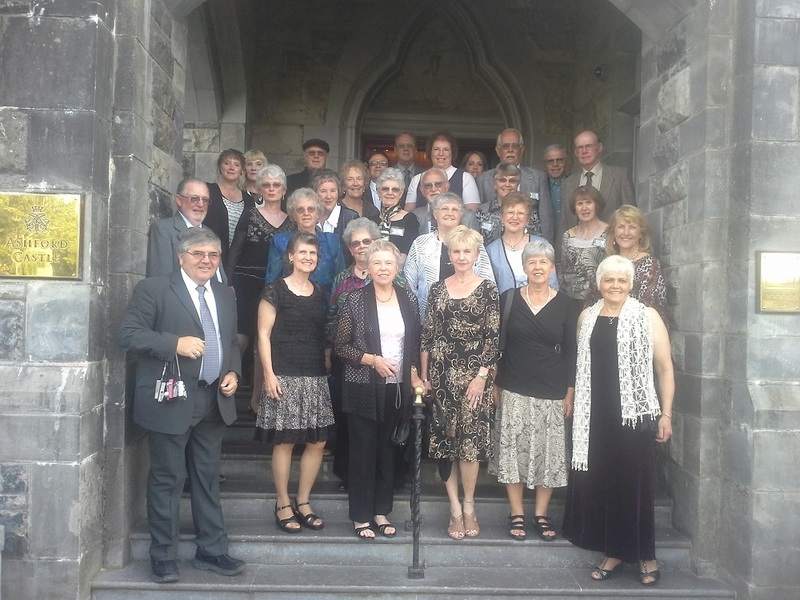 The step on tour guides were great – especially enjoyed the dinners in their homes. I “marched” to my own drummers (ha ha)! Hi Tony – Jim and I had wonderful trips in 2014 with OregonWest. Thanks! Chanda was the perfect hostess & guide for the Okanogan Wine Tour. We learned a lot and had fun learning! Darwin was an enthusiastic host and guide for Branson. We just signed on for the upcoming Canadian Rockies trip. Looking forward to it! Hope we see you in 2015. Here’s to a successful year! Dear Tony, Thanks for a great trip to New York City & Niagara Falls. Your driver & step on guide were fantastic. The rest of our trip went well. Thanks for your coordinating with Laurie (Journeys by Ambassador) to make this a very smooth Transaction from your tour to our self-guided tour. Dear Tony I do hope you know what a joy it is to go on your tours! They are so well organized and diverse these trips have also provided so many great memories for me! Thank you for doing what you do! Dear Tony… What a wonderful trip you planned to Astoria aboard the Portland Spirit. I so enjoyed being on the “mighty Columbia”. The destinations you selected for us in Astoria were outstanding – Cape Disappointment, the Maritime Museum, the Flavel House, and more. And the restaurants you selected were perfect. Hey Tony… just returned from Tennessee trip early this AM and wanted to send a quick note. The trip was wonderful and I’d like to travel with your tour company again. I have traveled a lot in the last 12 years and wanted you to know a couple of things that made this trip excellent. Travel days are not the most fun, and often a waste of a day. However, upon arriving in Nashville we climbed on the bus and went immediately to a tour and dinner, then to reconnect with our baggage at the hotel. This way those, such as myself, we’re able to go right out and enjoy the activities of the area (those who didn’t want to go out could stay in and unpack, etc) in the evening. The location of your hotels and your itinery allowed this. The same was for the last day-a great experience/activity in the AM on the way to the airport. The hotels and restaurants were all very good, the tours were excellent, the bus driver and extra guides great and Chandra was a delight. Thank you and OregonWest Excursions for providing an amazing experience. Thank you for planning an outstanding experience. Our travel to and in Sacramento with your local tours, accommodations and quality of food was exceptional. The trip on the “Snow Train” was perfect. Clear sunny weather on the way to Reno gave us a chance to see the rugged scenery, high mountains, steep cliffs, granite outcroppings and deep valleys. Breathtaking! The return over the same path was into a heavy snowstorm, with snow weighing down tree limbs and accumulating all around us. Breathtaking in a different fashion. You may not have had any control over the weather, but it made us a true “Snow Train”!! The bus trip to Tahoe, the lake excursion, the return through Carson City with BJ, our well versed local guide, was an educational and amazing trip. We all learned so much about the history of that area from BJ. However my friend, Nancy Martin, and I want you to know how outstanding Chanda was in her role as our tour guide. She is a very special person and she truly made this a special experience. She brought friendliness, warmth, vitality, excitement , concern and consideration with her. She seemed to be everywhere, checking on all of the people in our tour and making sure that any special needs were met. She even found an anniversary card, so that we could all share happy thoughts with the couple who celebrated their 57th anniversary during our trip. She definitely is a real A+ part of your excursion group. Finally, thank you for the extra steps you took to see that our luggage was handled for us. As an 80 year old, I was thankful that I was able to get around with out pulling and lifting my suitcase as some of the other tour groups were having to do. Outstanding trip!!! Job well done!! Dear Tony, Just want to say thank you for putting together the wonderful San Antonio trip. What memories! It was a first class experience and we all had such a good time. Looking forward to traveling with you again soon. As Sebastian in Shakespeare’s “12th Night” said: “Thanks and thanks and ever thanks…” It’s hard to say which trip is my favorite cuz each one is unique – The Rockies are so very unique and the “Rock-n-roll” you did to make the trip a great one is memorable. We want you to be doing ORWEST for a long time! Again – very special thanks for a great time in Colorado. Just a quick note to let you know how much I enjoyed the tour you organized to Klamath Falls and Crater Lake. Darlene and I thoroughly enjoyed those who joined us for the four fun-filled days. I loved the Crater Lake experiences. I’m on our County Fair Board, and bragged about those HUGE cinnamon rolls at Heaven on Earth during our last Fair Board of Directors meeting! The food at Rooster’s was also amazing as was the dinner at Crater Lake Lodge. Those lunches along the Rogue and (at) Odell Lakes were yummy too. The day spent learning about the Modoc Indian Wars was really an educational experience. I didn’t know about the Klamath County or Collier Logging Museums, so those were first-time visits for me. The Wildlife Images Rehab and Education Center was an educational adventure as well. Thanks again – perhaps I’ll be able to take another trip with you in the future. Hi Tony! I continue to enjoy our “suth-on tri-ip” as I tell stories to friends. Highlights included historical info from great local guides, entrance to lovely 18th/19th century homes, dinners at Miss Linda’s and Anna’s, hush puppies and shrimp, dolphins playing beside our boat, the Mill House Inn w/courtyard breakfast. Thanks for your excellent organization and your easy-going, can’do manner. Looking forward to another with you when schedule permits. Thank you – Also, since I’m a “word freak” I was thinking all the E words to describe our trip – amazing how many we thought of….. The ladies from Charbonneau are still talking about the wonderful coach trip to Ashland. We felt very spoiled by you and truly appreciated your attention to every detail. We will definitely be interested in another trip as soon as we have the pennies. I was glad to see your ad in the Charbonneau Villager and will certainly be glad to recommend you highly. Please tell Rich that I glided off to sleep on Sunday night as if I was on his wonderful coach – no bumps and no breaking! Great job all round. Just a wee note to tell you how much I enjoyed your tour! Thank you for all of your thoughtful “niceties” like keeping our foursome together, arranging fabulous seating for us at both “plays” and having our rooms on the same floor. All of this was “above and beyond the call of duty” and we did so appreciate it. I only wish I had the “wherewithal” to go on all your tours!